DAZ Studio Pro, Version 4.5.1.56, is Now Available! When DAZ uses .6 I think that they mean .06 which is earlier than .56. They aren't decimals - if they were they would have only one point. They are integers separated by full stops, 56 is bigger than 6. Two quick questions. i. Does Reality work with it? 2. Why is a follow-up release 4.5.1.56, have a lower version number than the previous release 4.5.1.6? The second question is just idle curiosity. I care more about question 1. Thanks, in advance, for your information. The SDK has not changed, so any plug-ins that work with any version of 4.5 still work. I was hoping this patch would fix the problems with LIE. But no... patiently waiting. What problems are you referring to? "Made speed improvements to the application of dual quaternions"
Seriously, though, this is good! It looks like we can now save previous renders if we have the image up (haven't deleted it) and it's showing on the screen. Sure hope so. Can you elaborate the problem you have with LIE. I have a different thread regarding issues I have with Shaders and LIE, where whenever I load a previous project that used LIE Wound of Goredom all of my shaders turn to white or black areas on the characters. This happens in preview and in render. I was going to try and install this new version to see if it would fix this problem. So are you having a similar issue and not resolved with this new DAZ version? Yes I am having the same problem. 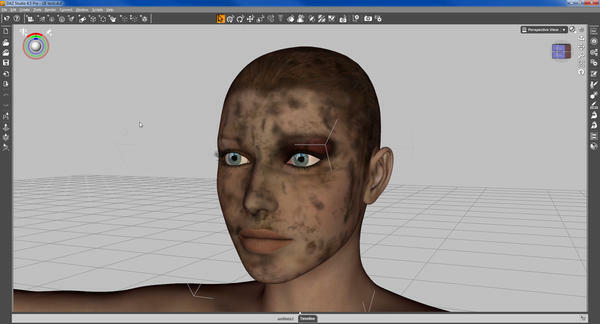 The product I want to use is - Tan Lines - from renderosity... With daz 4.5 it just turns the skin all white=+> still doing it with this version. Dang. I have had this problem with LIE Wound Makeup, Wet Body, and the Grunge set (Goredom, Ragerator, etc.) It is really frustrating. My last scene used several of these elements on nearly 9 figures and and all of their clothing. So to have to redo all that work is time consuming and irritating. I hope they fix this soon. Doh!!! I have those products too but haven't tried them yet in 4.5 :( I hope this will be on their next update. OK I downloaded and installed DAZ Studio Pro version 4.5.1.56 64 bit and all of the included 64 bit plugins, but Decimator is still asking me for a serial number? I checked my serial numbers in my account and there is no separate decimator serial listed. I double checked to make sure that the decimator installer that I ran is the 64 bit version. What am I doing wrong? New build is much faster.. right up until it crashes on me. It is some sort of 3delight error and I have a feeling its not so much a studio issue as a Lauren issue. I installed the beta and somehow did not uninstall the previous version. So for the last little while I have had the beta (which crashed) and the older version side by side. I didn't fiddle because the old version was still working and I needed to get some work done. What all do I need to seek and destroy in order to get a functional version back? I did uninstall the beta (via windows programs uninstall) and have uninstalled and installed the new release twice now. so I have new downloadable products :coolsmile:, I need to run DAZ Studio 4.5.x 64-bit - exe - pc, do I need GOZ, starter essentials etc as well? in Windows Explorer, and delete the database files. Right-click on Studio4 in the left pane, and select Delete. Reboot once again, and re-install. You will need to re-import your directories, Metadata, etc, in DS4 as all the settings are now gone. ONLY DO REGISTRY PART IF YOU KNOW WHAT YOU ARE DOING! LIE Wound Makeup Artist, Wet Body, as well as the Grunge set works. The new 'studio' and new 'starter essentials' are the 2 items you definitely need. The rest is various options depending on what other programs you use. You can always install them later if you find you need them. Do you have any details on the upgrade process for MAC users? I have my content library stored on a separate drive. So would I be fine to just uninstall DAZ, and then install the new version and re-install the Essentials? They work correctly in the new update? Or you are saying they work in 4.5.1.6? Just to clarify for you the problem I have experienced with all three of these shaders. They do work, on the first application of the shaders. But once you save your file and close DAZ, they end up as erroneous surfaces. I have included a screen grab and circled the spots where this error shows up. You will see that the surface on the arms show up as either black or white splotches (this is where there should be cuts applied from the LIE Wound Makeup) there is also one on the boots that shows where I tried to apply the Dirty shader from the Grunge pack and it also shows as just a white splotch. I finally decided to update from 0.114, because I am in the middle of a content creation project, and some tools in the CCT in 0.114 were failing (not going to bother to report since now three iterations back; I will report if I experience same issues in 1.56). Where, pray-tell, is the "create clothing" button? Prior to updating (and via documentation/tutorials) it was located in Scene editor drop-down with Genesis selected either under "Edit", or "Assets" (too tired to remember correctly, but was just using it yesterday). You have added a plethora of new minutia, but I can not find a "create clothes" anywhere. Not even in the Menu Toolbar. I'm aware of the secondary way I can go about this via the Transfer Utility, but I so liked the convenience of the Create Clothes method. As a content creator, I don't mind adapting to new ways to create content for a certain end user result, but really, do we have to keep adapting to every new iteration of the same software that comes out? I did another test. Applied a black eye preset from LIE Wound Makeup Artist, and the Dirty shader. Saved the scene, closed DS. Restarted DS and reloaded the scene. It's fine, see my screenshot. Load your saved scene, and check the applicable surface mat zone on the Surfaces tab if there is a *'tif file. This is with 4.5.1.56 (current release). I'm pretty sure they worked in 4.5.1.6, as I have used it then. Your scenes, have they been created in previous versions of Studio? My test was created and saved in the same version. Does anyone know how to get rid of the remedial start tutorials tab in the bottom right hand corner? I inadvertently pressed the button that adds it (for a second install time) in the install pop-up box that loads first time when you start a fresh install, thinking it would just show me info of how to add, AND delete it. In 4.x series, one was able to get rid of it in the properties editor (F2 on Windows). I can find it nowhere to un-check a box to get rid of it. 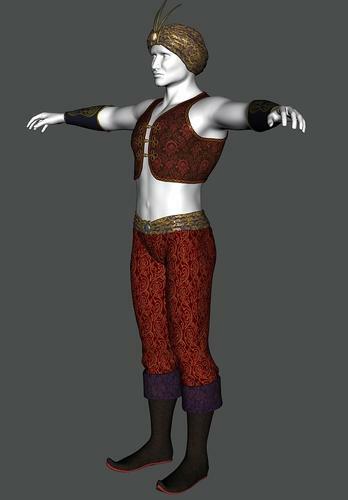 All of my scenes have been created in DAZ 4.5.1.6 only. What I also notice is that this problem seems to only affect certain types of shaders. For example, if I apply dirt and grime it works fine on most surfaces and retains the setting after saving. I applied cuts to the torso area, then saved and closed, but once I apply the cuts to the shoulder/arms area the problem returns. So in theory, LIE Woundmake-up mostly works. Thank you, niccipb, much appreciated. If it was a temp feature, then I guess I'll have to do without. I don't think one man making a feature request will do anything, so won't even bother. Working back through the Transfer Utility, and I think it is working a lot better in 1.56 compared to 0.114 (which is why I liked the Create Clothes feature). Did DAZ improve the shoe fitting for Genesis from Gen 4? I just transferred two sets of flats (Blonde 9999 Persian Fable and Val's Celestial Armor) and while they both needed a bit of smoothing out in ZBrush they are totally usable without doing that with a smoothing and sub-D applied to them. Not sure how badly heels would do but flat types seem better. Anyone else having better results? I have no listings for this under Workspace. I am beginning to think it is because I have a custom workspace that has been carried over since 4.0.3 Pro (which had the ability to turn it off in the Preferences dialog box [F2]). Maybe, I will have to delete my custom workspace, and start from scratch. However, I did find a quick work-around; Right-clicking in tab-space and deselecting my "Status Bar" makes it go away, but now I don't have that great status bar telling me things like smoothing percentage, or hover-over detail data. I can still see hover-over data if I wait the three seconds it takes for the pop-up to show up, though. Nonetheless, thank you both for telling me where it should be located.